Todays blog post will be about how I use the skills that I learned in my Computer Applications class outside of this class. As you know this is the last blog of the entirre school year. On to the promt. I apply the things that I use in class to help people.n For example, my mom's friend was looking through a long document just to find one of her students name. If you don't know, she is a teacher. I helped her by showing her this keyboard trick, pressing CTRL and F. From that point I just told her to write the name she was looking for in the box and then press enter. The name that she was lookin g for came out in seconds. She thanked me a lot. I also helped my aunt organize a nice website for her buisness. I really liked my Computer Applications class. At first I thought it was hard to make inforgarphics or multimedia items. Mr. Kimbley is an awsome teacher for helping me and all of the kids he teaches. I will really miss comming into his class and learning something new over Summer breck. I thinkk schools should teach more about computers. Hate that this is the last blog post. Good-bye! Since this is the last Free Write Friday, I am going to be blogging about how it is the last blog for this topic. It is very sad that it will be the last blog. I hope that you have read all of my Free Write Friday blogs up until this one.This is the last Friday of the school year. Since this will be the last, I will also be blogging about something unusual-- dissecting a squid! In my Science class I will be dissecting a squid. After we dissect it we get to eat it! How this works is that once we take out all of the organs and wash the inside out, Mrs. Poole will fry it up. I have heard that the squid tastes like chicken It will also be a very small one, is that is good. I am looking forward for this lab. This, I am sure, will be the last disction of the year. Although it is the last Free Write Friday blog, I hope that I can blog sometime in the summer to keep you updated on how it has been. Thank you for reading all of the blogs I have wrote. Please comment on this blog and tell me it all of these pages that have blogs, Math Mondays, Science Solutions, Core Concentrations or Free Write Friday really help you out. Until the next Math Monday blog post! Today is Free Write Friday. In this blog, I will be blogging my favorite video game, Animal Crossing! I am a very big fan of this game. I cant wait until the new game for this series comes out in June. Animal Crossing is a life simulation game, but even better! You can catch bugs or fish, pay your house mortgage, garden, etc. The new game ,that I am excited about, is going to be called Animal Crossing: New Leaf. This game will be for the Nintendo 3ds. In this game there are many new features. For example you are the mayor. You, being the mayor, get to have community projects all around the town which enable you to make your town prettier. You also have an assistant named Isabella. Another cool feature is that you can actually go to an island and swim! This was no tin the previous Animal Crossing games. There are many other features. To see more about Animal Crossing: New Leaf, check out the YouTube website, Lin&Ko. They do very excellent videos on this game. They have the Japan version, which already came out but they tell you in everything that is going on in the video. Until next Free Write Friday blog! Todays topic is a very special topic. I will be blogging about my 6th grade teach, Mr. Gomez. Mr. Gomez is a very excellent teacher. He is very nice too. The reason why I choose him as the topic of this blog is his way of teaching. He teaches in a way that the students can collaborate. Instead of teaching(saying) everything from the book, he connects with his students by making the lesson sound much more modern. For example, he makes a lesson into a collaboration topic. My experience with Mr. Gomez was one that I will never forget. Mr. Gomez would always be there for you when you need him the most. He helps you on everything that you need help on. What I really like about Mr. Gomez, is that he always keeps in touch with you, even when you have already been promoted from Lane elementary school. A normal day in his class would start off with him welcoming you into his classroom, always with a smile. He prepared me for middle school. Everything that I learned from him is helping me succeed right now. Middle school is very easy, because it is like I have already learned this material from Mr. Gomez teaching. He is the reason why I do very well in my schooling. Without him, I would probably not have made it into Edison Computech Middle school, or not know all of this. Mr. Gomez makes the best of every lesson he teaches you. If you didn’t know how to do it, he would go back and make sure that you understand how and why you are doing it. He also makes teaching very fun. He makes up catchy phrases and makes the teaching standards fun to help you learn. My middle school teachers mainly teach by the book, and that is not very fun. It doesn’t help you really memorize or learn. I wish that Mr. Gomez would be my teacher forever. Now that I don’t see him a lot anymore, I truly miss him. For me he is and will always be my teacher of the year. I really truely miss him, and I wish he would always be my teacher like I had said before. He taught me how to be ready for any rough change that is comming to me. If he is reading this right now, I want to let him know that he is a truly great teacher and I will never forget him. He really connected with me in the past two years as my teacher. Todays blog will be about this dog named Ollie. Ollie is a Golden Retriever He is currently up for adoption. If you are wondering how I knew about this dog, well it is because I went on a website called: petfinder.com. Petfinder.com is a website that allows you to see if a dog is up for adoption in your area. It is very simple all you need to do is type in your location and select dogs. Did you know the website also allows you to find other pets other than dogs. For example rabbits, mice, horses, llamas, fish, etc! I don't think that I would find a horse were I live, so that is why I just chose dogs. This website has hundred of animals that don't have a home. If you are interested in the website, go to petfinder.com Who knows! You just might be able to find your companion. To make it easier, there will be a link leading straight to it. I hope that you can find a best friend, like Ollie! If you are interested in adopting Ollie and want to see how he looks like check out the picture below. If you find an animal that you are really leaning toward buying it let me know how this blog post helped you. In my science and computers class, we are making a zoo project. The zoo project is a project in which you have an animal and you have to do a lot of multimedia for it. This project is a group project, so that means that what ever grade you group gets,you get the same one. Like I had said before, we have an animal Our animal is a Giant Anteater. We are not quite one with this project but so far we are were we need to be. If you are wondering what multimedia we are exactly doing, I will name a few. Some of them are a QR code, word clouds, Glogster, etc. I am doing the QR code, word cloud, infographic poster, and a Thinglink. These are not that hard for e to do. In fact I plan on going beyond that and making other things for the Giant Anteater. All of these projects will be posted on our Giant Anteater Zoo webpage! To get to that website all you need to do is click on the link below. Do you know much about the Giant Anteater? It is very interesting. Our website gives very important and interesting facts! Once you go and check it out you will know more about it than ever. To help you understand the facts, we put them in cool multimedia projects like I said before Just to let you know, our website page is currently under construction. Until next time! Have you ever heard of Khan Academy Khan Academy is a free school based website that helps you learn a lesson from history to geometry. I really like this program. The website consist of videos that teach the concept You don't have to sign up. If you do sign up, you can get points for doing practice problems and watching the videos. I recommend this website for everybody. If you do sign up, tell me what you think! Khan Academy is the best website to go to if you want to learn and practice your school lesson. For example, it helped me with finding the surface area of shapes. With that information, I did great on my math test. Like I said before, if you do sign up or just explore the site pleases let m know what do you think of it! I know that you can learn something with this website. Did I mention that you can get a Google Chrome app for it? This is what I like about it. You an study anywhere you go. I am not sure if they have an app for your phone though. If you know please let me know. Well until next Free Write Friday post! It has been almost a week since Spring Break started. This blog will tell you about what I did during the week and a half of break First on Saturday, my family and I packed our luggage to visit my great-grandma in Los Angeles. What was really great, was that I got to invite my friend Esmeralda. She also goes to the same school as me. I was really fortunate to see her, because she is very old, and I only saw her about three of four times, because she lives in Los Angeles. After we went to see her, we drove to a hotel. I was excited, because the next day we were going to Disneyland! When we entered the park, the first ride we rode was called "Snow White's Scary Adventurous " It was not really scary. After that ride, we went to another fun ride, "Dumbo, the flying Elephant." It was fun. After going to see more exciting things, we all went on a fast and fun roller coaster ride. It went so fast that we couldn't keep our eyes open, because of the wind! After that we went on more rides, and also got a chance to see Minnie Mouse. My vacation was great! How about yours? Tell me what you did by commenting! Did you play an April Fools joke, or did you go somewhere? The best part of Spring Break was being together with my family and friends; I also liked sleeping in! Until next blog post! Jim Henson was very famous because he created “The Muppets”. He is a puppeteer. His most famous character is “Kermit the Frog”. He invented a lot of children shows, like “Sesame Street” and “Sam and Friends”. These inventions and ideas soon shot to fame. Sesame Street soon became a popular children's television show. This show is even still around today. The next paragraph will talk about puppetry. Puppetry is like a form of presentation. It is used to entertain young children. The tools to do puppetry is a stage and some puppets. Some people say that it originated in Asia, because of the type of puppetry they have there. Asia’s type of puppetry is called “Bunraku”. Others say that it came from Egypt about 30,000 years ago. Puppetry is a type of performance that does require some skill. You have to be able to see what the puppet is doing and be underneath the stage at the same time. You also need to be able to know how to work with your hands. That is very important, because you can mess up easily if you do. It also requires puppets and an a group of people. All puppetry basically is performing a show with your hands. Jim Henson was a man who liked to entertain people. He was very kind to everyone that he met. He was very humorous too. Many people thought of him as kind of childish. He put all of his kind and humorous personality into all of his puppets, that is part of the reason why people love his creations. Jim was really a person that everyone enjoyed having around. Jim had a great education. Jim attended the University of Maryland. He went to Northwestern High School. His major was studio arts. He thought he was going to be a commercial artist. Instead, he was a puppeteer. He graduated d with a Bachelor of Science degree. 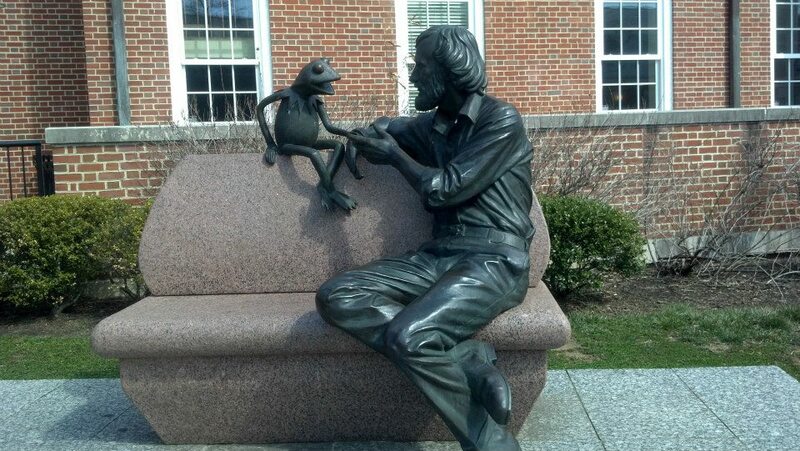 This is a blog post about Jim Henson. I hope that you have learned more about him and his skill with this blog. Have you ever wondered what events occurred during Charles Darwin's five year voyage on the "Beagle"?In this blog, I will be explaining what Darwin saw and discovered on his long five year voyage. In September, about the year 1835, Charles Darwin rode his ship named the "Beagle" around the world. In his journey, he came across the most fascinating animals and sceneries He was amazed. He kept a journal and wrote about his journey. He traveled to places like: Cape Verde, Rio de Janeiro, Australia and a lot of other places. He believed that there was a connection between the animal group and the humans. When Darwin went on his voyages, he described everything he saw on his journey, onto his journal. He described the scenery of mountains, summits, and how the weather was. In October of 1836, he returned to were he started, England. He brought back all kinds of things with him, including the dead species of animals and insects. The animal, insects, and bones were later on displayed in a museum. Charles Darwin really made a huge impact in the world. He helped us understand how new species of animals formed and how the world can change in a blink of an eye. I hope that you have learned more about Charles Darwin than you have did before. Now the world knows more about finding species and other types of wild animals in the world. This blog will be about random things that I will be blogging about.